Jack Jordan Ammann, Jr. entered the undiluted Presence of the Lord on September 23, 2012. He was born January 3, 1933, to Jack Jordan Ammann and Louise Mangham Ammann (Carson). He loved to tell people he was born at the insane asylum. His grandparents worked at the San Antonio State Hospital, known as the insane asylum in the days before political correctness. His mother went into labor while visiting her parents, and the hospital doctor delivered Jack in the state hospital. As a young boy during World War II, Jackie (as he was known) pulled his little red wagon through the neighborhood collecting scrap metal and delivering it to the fire station, setting the tone for a lifetime of passionate patriotism. Jack graduated from Texas Military Institute and entered A&M College of Texas (now Texas A&M University). After four years of college, he was classified as 1A by the draft board. Even though he was taking a five-year course, the draft board only exempted men from the draft for four years of college. He joined the Army as a volunteer rather than wait to be drafted so he could choose his field of work – stereoscopic map compiling. After completing training, he was stationed at the Presidio of San Francisco for a year, where he served as a lay reader at the Episcopal Cathedral. While stationed in Heidelberg, Germany, he spent two months touring Europe. He returned to Texas A&M after discharge from the Army and earned a Bachelor of Science degree in Industrial Engineering. Upon graduation, he was hired by Frigidaire Division of General Motors in Dayton, Ohio. He was very proud of the fact the he was the highest-paid engineer in his graduating class with a salary that was $1.67 more than the second highest-paid graduate. At Frigidaire, the section he led held the highest efficiency rating within General Motors. After three years, he decided “you can take the boy out of Texas, but you can’t take Texas out of the boy.” He left the cold and snow of Ohio to return to San Antonio as an industrial engineer at Kelly Air Force Base. He was part of a small group of engineers from around the country who created a storage manual for the entire Air Force. Later, he was the project engineer for the overhaul of the C-5 engine. He received numerous letters of commendation and certificates of achievement throughout his Civil Service career. As the representative of management in labor disputes, he never lost a case. During this time, Jack became a ham radio operator and loved talking to hams around the world, especially when he had the opportunity to relay messages during crises when no other form of communication was available. While working at Kelly, he met the love of his life, his soul-mate, Lillian Ann Nicholson. She had a summer job in his department, and when the boss was introducing her to the staff, Jack said, “Tomorrow we’re going to remove all the nameplates from the desks, and you’ll have to remember all the names.” He laughed uproariously at his own joke. Lillian didn’t think the joke was funny, but she was captivated by his ability to enjoy his own joke so much. Jack’s sense of humor always drew people to him, and he “loved a guy (or gal) with a sense of humor.” At the end of the summer as she prepared to return to college, Lillian was telling Jack all her future plans. He said, “When are you going to marry me?” She answered “When are you going to ask me?” He asked, and she answered yes. They married a year later when Lillian finished her education. Soon Lillian became Lillie as Jack so affectionately called her. Jack returned to school part-time and with Lillie’s help in writing papers, he earned a Master of Science degree in Systems Management. Jack and Lillie adopted their son, William, at age eleven. When Jack retired from Kelly, he enjoyed a number of hobbies and helped Lillie in her plant business. After Lillie was robbed in her retail store, he entered law enforcement and served as a lieutenant in the Bexar County Precinct 2 Constable’s Department for a number of years, achieving the status of Master Peace Officer. After his second retirement, he realized a life-long dream of driving a bus and worked as a school bus driver. Although he was a strict disciplinarian, the children loved him. 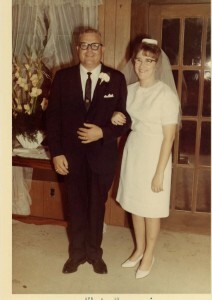 Throughout their 45 years of marriage, Jack supported Lillie in everything she did. He was her biggest cheerleader and always believed she could do anything. When she had a stroke, he took care of her and did all the things she couldn’t do for herself. More importantly, he had the attitude that recovery was the only option. Regardless of what it took, it was just a matter of time before she would be well again. A life-long avid Texas Aggie who “bled maroon,” Jack had a persuasive charm that ensured he always got what he wanted and convinced everyone else they wanted it, too. 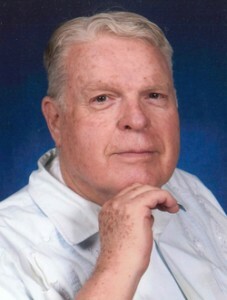 Jack was a member of All Saints Anglican Church and recognized God’s guidance throughout his life. 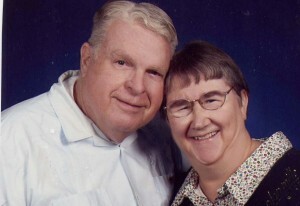 After he was diagnosed with dementia, Jack sometimes got words confused and talked about God’s “interference.” Whatever word he used, he recognized God’s guidance. A dedicated husband, a loyal friend, and a patriotic American, Jack was smart, funny, opinionated, assertive, upbeat, generous, tenacious, independent, determined, self-confident, perfectionistic, and unconventional. He is survived by his loving and beloved wife, Lillian Ann Nicholson (Lillie) Ammann; son and daughter-in-law, William and Kathy Ammann of Kemp, Oklahoma; sister and brother-in-law, Carol and Sam Rabb of San Antonio, Texas; brother and sister-in-law, David and Cindy Ammann of Bandera, Texas; sister-in-law, Nancy Nicholson of Dilley, Texas; numerous sisters-in-law, brothers-in-law, nieces and nephews; and caregiver and surrogate granddaughter, Betsy Gonzales. Recently, Jack and I were out running errands. On the way home from the post office, Jack said, “Does he need help?” I hadn’t been paying attention and didn’t know what he was talking about. Jack backed up a few feet to the entrance to the parking lot of a restaurant not yet open for the day. There on the sidewalk lay a young man with his wheelchair overturned beside him. He had tipped over going up the steep incline and fallen out of his chair. Fortunately, he wasn’t injured, but he was helpless to get back into the chair. Jack and I got out of the van, righted the wheelchair, and tried to lift the man back into the chair. Although he was light and both of us are large, neither of us is strong and both of us are unsteady on our feet. I had to lean against the van to keep myself upright, and between the two of us we couldn’t lift the man. Fortunately a young woman walked up, taking the same shortcut through the parking lot that the fallen man had taken. With her help, we lifted him back into his chair and checked again to make sure he wasn’t hurt. The young woman pushed his wheelchair across the parking lot and to the convenience store where each had been headed before our encounter. We drove to the store and made sure the young man purchased his soda and started home safely. We read the story of the Good Samaritan in the Bible and wonder if we would stop to help or cross by on the other side. The man we helped hadn’t been attacked by robbers. He wasn’t injured, and we didn’t have to take him to an inn to care for him. But I hope he thought of us and the young lady who helped him up as his Good Samaritans. Often we think that we have to do something large and important in order to make a difference in the world. But sometimes we called to make just a small difference in the life of one person. And it’s easy to overlook those opportunities. I remember an incident from long ago. We had a small fire in the back seat of our car on a busy highway. Jack pulled to the side of the road, and we had to remove the back seat to put out the fire. Cars whizzed past at the speed limit (or faster), but no one even glanced our direction. We were able to get the fire out and the seat back in the car, but it would have been easier if someone had helped us. When we were out running errands, I wasn’t paying attention to my surroundings, and we would not have helped this young man if Jack hadn’t noticed him lying on the sidewalk. I’m going to keep my eyes open now. Who knows what opportunities I’ve missed by not paying attention? This blog post is my entry into two online events: Words Matter Week: What Word Would You Eliminate? and What I Learned from a Colorful Character group writing project. You see, I’ve been married to a colorful character for nearly 43 years. I’ve laughed every day, and I haven’t been bored a single minute. Jack is smart, funny, opinionated, assertive, upbeat, tenacious, independent, determined, self-confident, perfectionistic, and unconventional. Whether we’re at the bank, the grocery store, or the dry cleaners—if Jack has been there before, someone remembers him and smiles. Jack, my colorful character, taught me the answer to that question, both by words and actions. Thanks to Jack, I’ve accomplished far more than I ever expected. Most of all, I’ve enjoyed the journey filled with love and laughter. More “Jack stories” can be found on Lillie’s blog— just type “jack” into the search box.